Our full-service production company directed, shot and edited this series for broadcast. We are always seeking ways to push our creative abilities and imagination to the next level. One day, the opportunity to create a TV show came to life; all the stars aligned, so to speak. 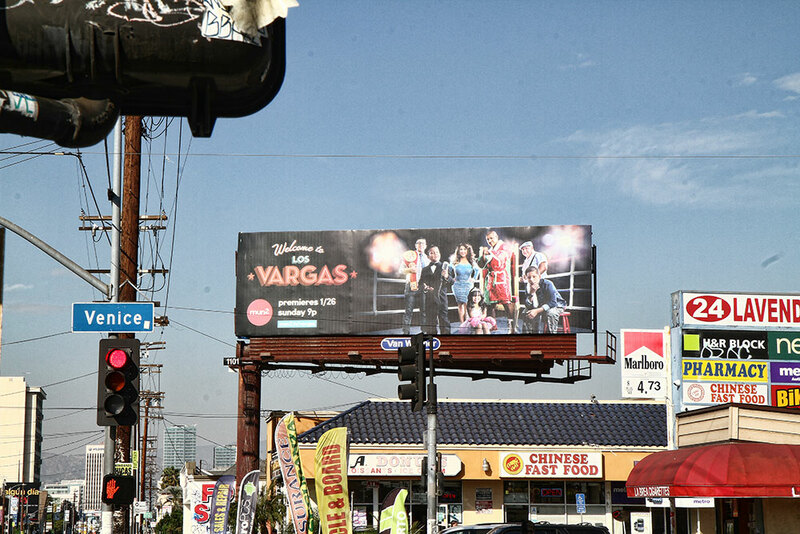 “Welcome to Los Vargas” is the first television series produced by the Anyone team. Just over 4 months had passed between the day we started directing the sizzle to the day we signed the show with Mun2/NBC Universal. We couldn’t have been more proud of seeing our show air on primetime cable. We have produced and directed national commercial campaigns, music videos, short films and industrials for many years, but had yet to get our feet wet in reality TV. Having no prior history in TV, we needed a show with a hook. Amidst our concepts was an idea called “Welcome to Los Vargas,” featuring American boxer and three-time world champion, Fernando Vargas. After meeting with Fernando and his family, we knew there was huge potential in creating a great reality television series. No stranger to fame and with a family life well outside the ordinary, Fernando was excited to add “reality-television star” next to his already much-titled name. With the green light from the Vargas family, we flew to Las Vegas to shoot a sizzle we could pitch. Fast-forward 16 months; our show aired at the primetime slot of Sundays at 9:00pm on cable network Mun2 and was syndicated on the BRAVO and USA networks. THE DEBUT BROADCAST TELEVISION SERIES DEVELOPED AND PRODUCED BY THE ANYONE TEAM. The Vargas family, comprised of Fernando Vargas, his wife Martha, his father-in-law Alfredo and his four children, were all naturals in front of the camera. The dynamic between the family and our team was incredible and it was a pleasure to share this chapter in their lives. We wanted to capture the true essence of the family and showcase what made them unique. Hispanic culture was also an important focal point for the series. We knew it was vital to show that, despite their fame and success, the Vargas family has stayed true to their cultural roots. From filming the joy of a birthday celebration to showing intimate moments that ended in tears, we oversaw and captured every moment to reveal the bond, sense of humor and crazy lifestyle of the Vargas family. Filmed in sunny Las Vegas at the Vargas estate, we shot and edited 13 episodes in 5 months. Mun2 also asked us to create a graphics package for the show, which included a title sequence, logo and animation. These helped establish the identity of the Vargas show, conveying the vitality and energy of a family that, even in family-friendly primetime, continues to pack a punch. “Welcome to Los Vargas” aired at the same time as the Super Bowl and still increased viewership on the entire Mun2 network by 80%. “Welcome to Los Vargas” received a nomination for Best Reality Moment on Telemundo’s popular award show Premios Tu Mundo. During the promo tour, we utilized a custom wrapped tour bus with a giant built-in LED screen that ran the show trailer. We also placed promotional billboards throughout Los Angeles County. 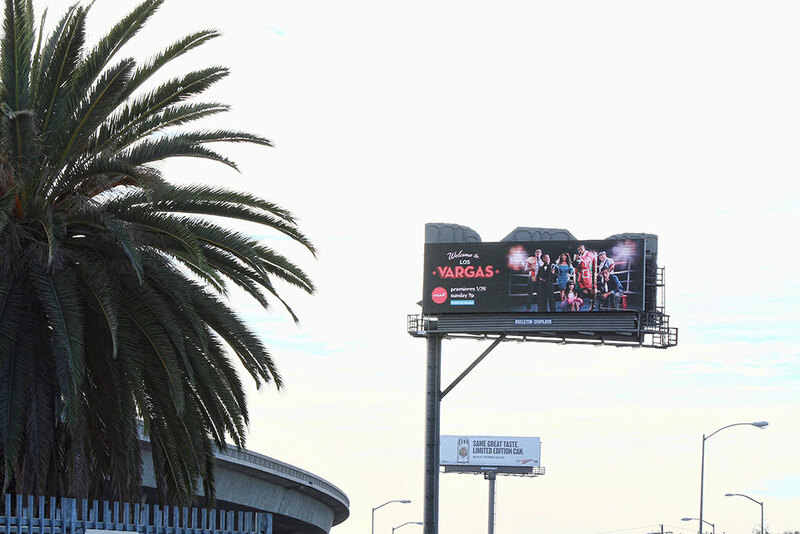 From conception to execution, we brought “Welcome to Los Vargas” to life. Our show became one of the top shows on Mun2, reaching a diverse bilingual demographic. We created this show with reality in mind, emphasizing authenticity and pure unadulterated humor. Since its premiere, our show has had positive reception from critics and audiences alike. “Welcome to Los Vargas” continues to trend on social media, hitting over 1.5 million impressions on Twitter so far. As our show continues to air, audiences are already asking – when is Season 2? Stay tuned. The punches don’t stop here.